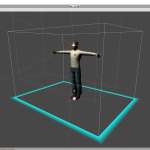 InstantVR comes with a default MakeHuman avatar, but it is easy to replace this by your own custom avatar. In this post I will explain how you can do this and what you can do to get the best experience. In this first post on virtual hands in Unity I will explain the basics of picking up objects. 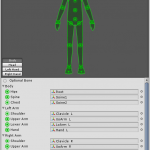 What do you need to include in your gameobjects, how to setup the colliders and make the objects follow your hands.